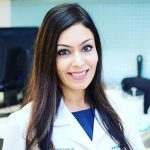 As a South Asian working in the skincare business, I know that many of my fellow South Asians have a hard time understanding how to care for their skin type. The first step is realizing there are a whole bunch of misnomers out there when it comes to South Asian skincare. 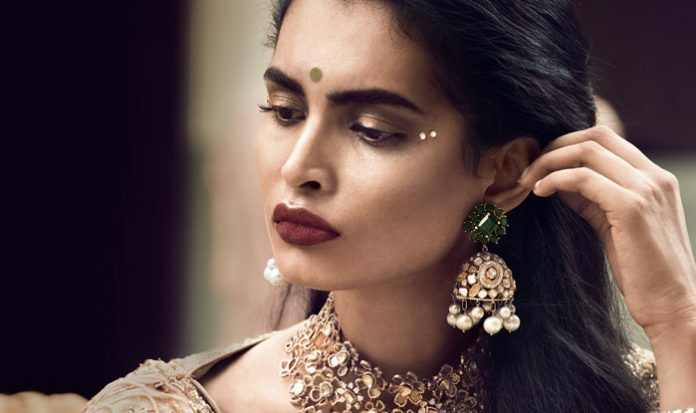 I want to provide you with a little more insight into South Asian skincare, starting with the five biggest myths we have all heard. Since pigmented (melanin-rich) skin provides a bit of extra protection from the sun, many South Asians think they do not need to apply sunscreen. This is, in fact, not true. South Asians are spending more and more time doing activities which expose them to the sun (ie: skiing, swimming, beach vacations, sports). Daily sunscreen use has also been documented to provide an increase in protection from fine lines and sun spots after using it for 4.5 years. So, use a broad spectrum (UVA and UVB ray protection) 30 minutes before sun exposure, and reapply every two hours to keep skin looking young and protect against sunlight. South Asians have melanin-rich skin, which helps a bit to protect us from early signs of aging. It does, however, predispose us to produce even more melanin with the slightest injury to our skin, including bug bites we scratch, acne scarring, and melasma. A prescription cream with hydroquinone can help to reduce the production of new melanin and can help to fade these areas of hyperpigmentation. To prevent acne in the first place, use a wash with salicylic acid in it. For extreme hyperpigmentation and melasma, you may choose to seek laser treatments which are known to be quite effective. The lasers used can include Nd:Yag, RevLite laser, Infrared lights, and LED lights. Chemical peels can also help to aid treatment for scarring/dark spots. South Asians also tend to have thicker skin. Our skin is actually physically thicker which can lead to an increase in the number of hair follicles. This explains why many South Asians have to deal with excess hair in areas that hair is not wanted. Waxing can lead to burns which in turn result in the hyperpigmentation discussed earlier. It can also lead to a disease called folliculitis where the follicle gets inflamed and you have acne-like bumps appear where the hair was removed. The safest methods for hair removal are threading and, for the longer term, laser hair removal. Many South Asians want to know what the best type of laser hair removal machine is for our skin type. The Nd:Yag laser is best for melanin-rich skin, and the number of sessions needed can be as many as 10-12. It is helpful to have cooling along with the laser treatment. Be sure to go to someone you trust when seeking out laser hair removal treatments/packages. Many South Asians are unhappy with the area under their eyes. This is generally the area that first shows signs of aging. The best way to prevent the look of aging under the eyes is to keep the area moisturized. There are many creams for the under eyes, but most creams cannot “cure” dark under eye circles. Always use a cream with caffeine in it, as it helps to constrict blood vessels under the eyes. I recommend L’Oreal Paris Revitalift Triple Power Eye Treatment. Keeping the cream refrigerated can also help decrease puffiness in the mornings. In-office treatments that will improve your under eye circles are dermal fillers and the eMatrix laser treatment. This laser treatment is specifically designed to treat darker skin tones, which helps, safely, build collagen under the eyes and decrease the thinness of the skin under the eyes. There is a misconception that lasers cannot be used on darker skin tones without causing scarring or hyperpigmentation in some areas. This is not true, as long as the proper laser is used. For example, for resurfacing and acne scar treatments in patients with darker pigments, there is a much safer laser called the fractora. The fractora differs from other laser resurfacing devices by using bipolar radio frequency in order to penetrate through the skin. It maximizes collagen production by sending an increased amount of energy beneath the surface of the skin while keeping the top layer of the skin intact. This is what makes it safer on darker skin tones. Another example of a laser that is safe and quite often used in patients with darker skin tones is the ND:YAG laser. The combination of skin cooling, laser frequency, and pulse durations allows for safe and effective treatment in all skin types. Ami Dalal is a board-certified physician assistant at Schweiger Dermatology Group. Ami specializes in cosmetic dermatology treatments, including laser skin rejuvenation, Ultherapy, chemical peels, fillers, and injectables as well as medical dermatology.